Utilizing the world’s greatest restaurants and wineries as his classroom, B Wise owner Brion Wise knew he needed a vineyard of his own. He fell in love with the mountainside of Sonoma and built his winery there. He now engages in the process, gains knowledge and pursues perfection on his own land. 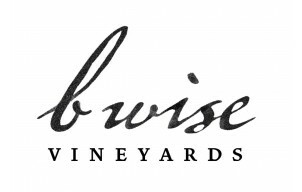 Wise utilizes the array of red wine grapes that grow abundantly in the Sonoma region. The wine is handcrafted in barrels in their underground facilities which naturally provides the right conditions for aging wine.